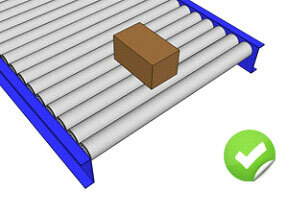 Gravity roller track is the most economical and simplest form of transporting loads from one point to another. Minimal effort required in the movement of goods whether it is manual assistance or gravitational force. reducing manual handling and increasing productivity and workflow. 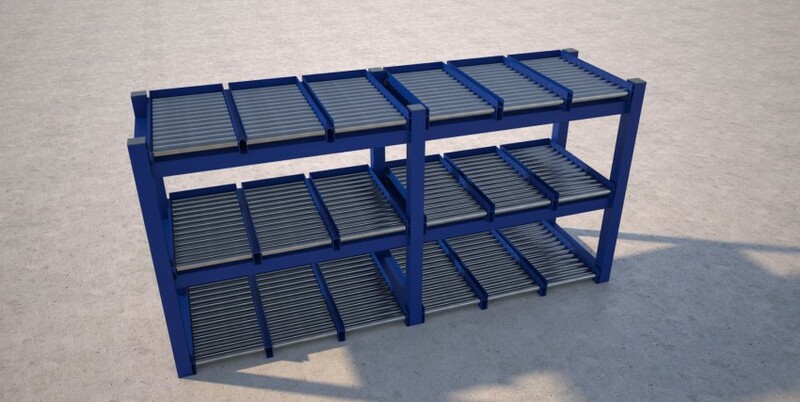 The can be be used as stand alone units, within storage racks or combined within workstations to produce a lean assembly or packing line. 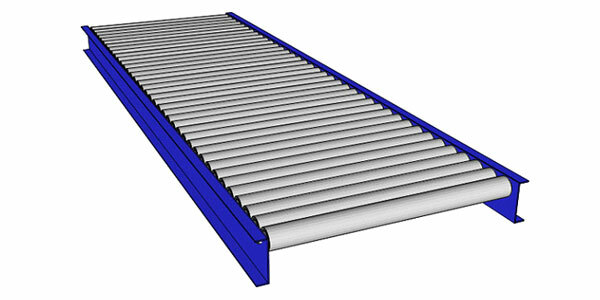 A roller track is essentially a row of individual rollers fastened to a frame. 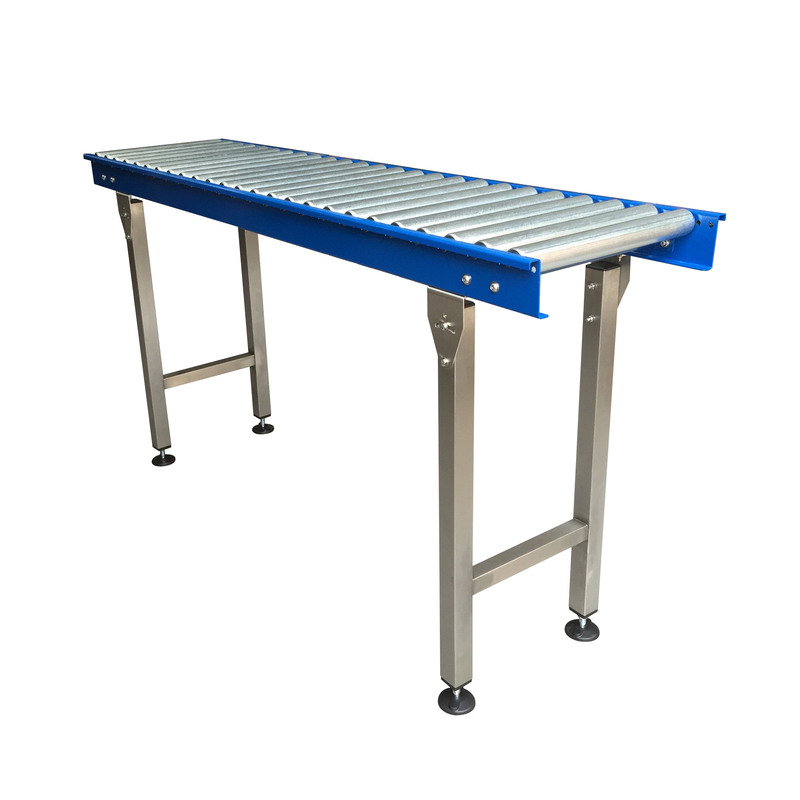 Roller tracks are ideal for reducing manual handling and increasing productivity. 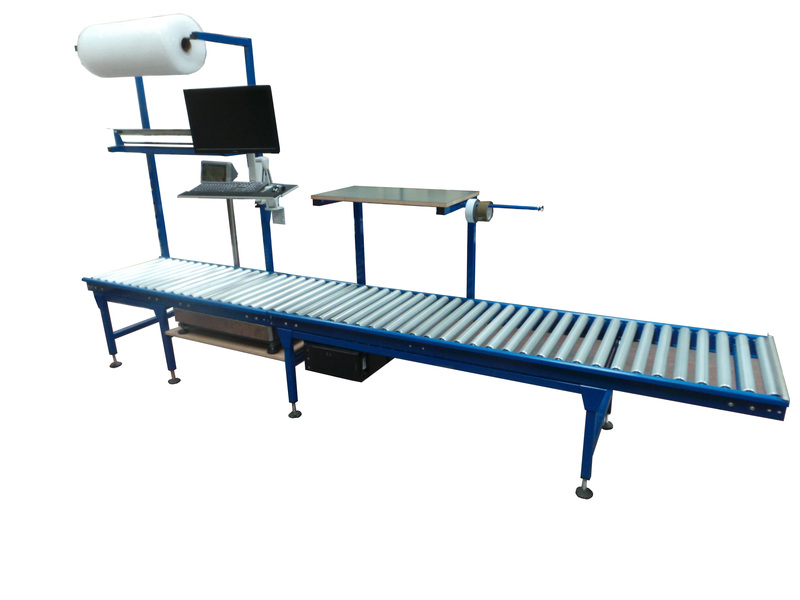 They can be easy configured into assembly or packing lines, when used with workstation components. 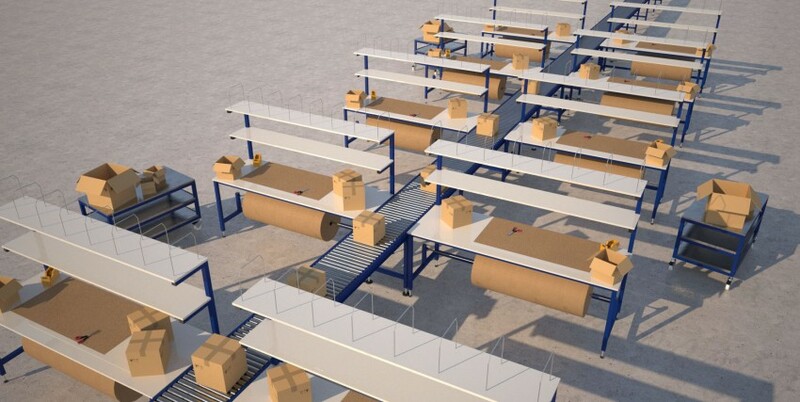 The rollers are free spinning and allows products to be either pushed down the conveyor by hand or the frame itself can be angled at a slight decline to allow products to move freely on their own. 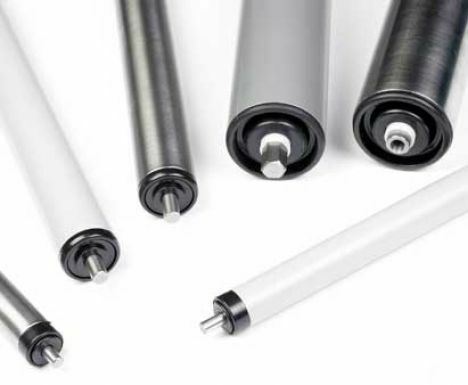 They can be manufactured using PVC, Zinc plated steel or stainless steel rollers along with powder coated steel or stainless steel frame - heavy duty rollers/frames are available for for heavier load capacity. 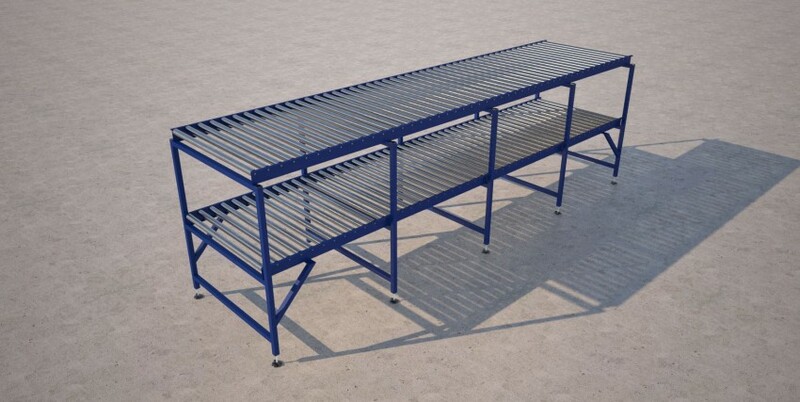 What size gravity roller conveyor I need? The main things to take into account are the weight and size of the product to be conveyed. 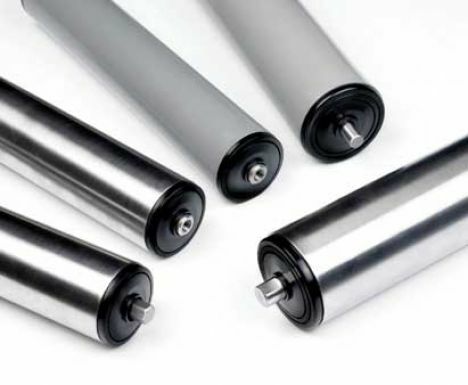 At any given time a minimum 3 rollers need to be under the product to ensure safe / smooth transportation and to stop products falling between. However more rollers underneath the product would be advantageous. 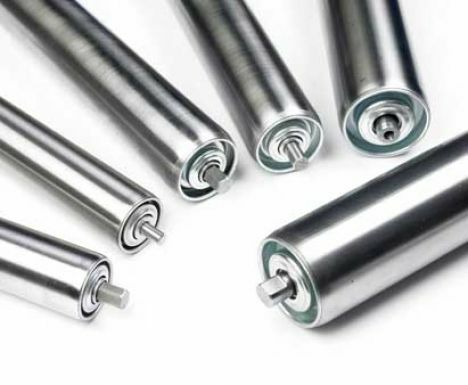 Factors such as load should also be taken into account as heaver loads or more rigid loads require larger diameter rollers. 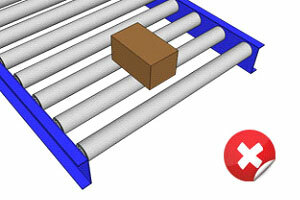 This diagram shows the product is always on 3 or 4 rollers at any time and is unable to fall between the conveyor. 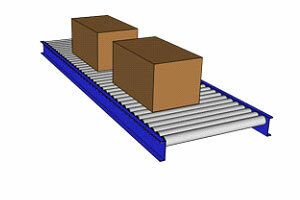 Heres a bad example of a roller track, either the product is too small for the rollers or the pitch of the rollers is too large, as you can see the product will only ever be on 2 rollers at any given time which will cause the product to tip between the gaps instead of smooth transportation. The most cost effective roller track ideal for non food applications. 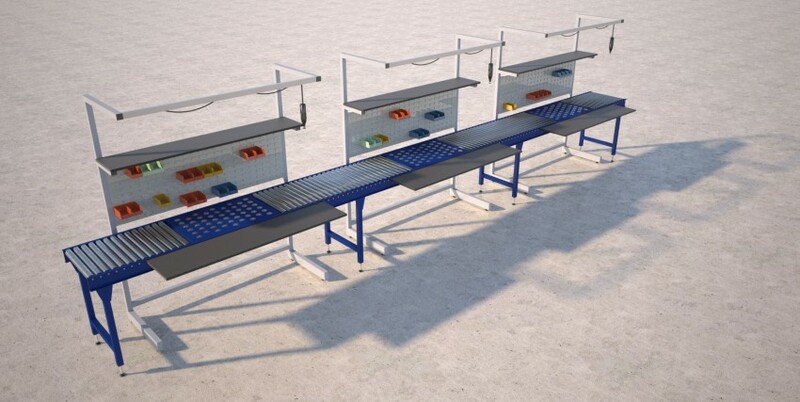 Spaceguard Limited - UK manufacturers of roller tracking and lean workstation solutions. Please contact our sales team with your requirements for a competitive quotation.